For this month’s e-newsletter, FORUM-ASIA talked with Lubha Raj Neupane, Executive Director of Women’s Rehabilitation Centre (WOREC), a movement-based organisation from Nepal and new member of FORUM-ASIA. Lubha has been an advocate for the rights of women and children for a long time, and believes that women’s rights and social justice are prerequisites for peace and sustainable development in Nepal. 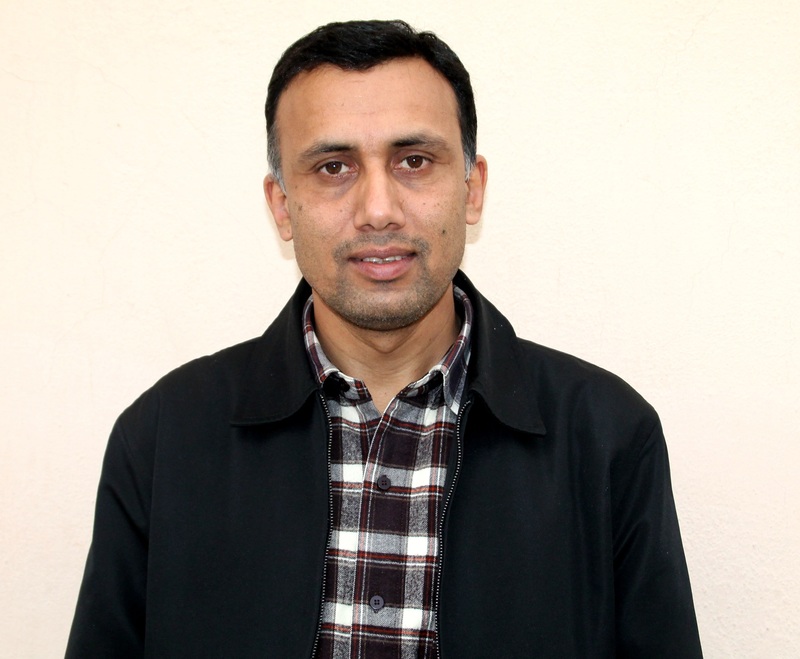 Lubha shared about his motivation and the difficulties he has experienced as a human rights advocate, who challenges the patriarchal society in Nepal, as well as his message to a new generation of human rights defenders. How did you become involved with human rights? And how did you become involved with FORUM-ASIA? In my early career, when I was teaching in a private English school in Kathmandu, through a school education campaign, I discovered the situation of underprivileged children in the hinterland of Kathmandu and in rural areas of the western belt of Nepal. Many children there left school because of the long distances they had to walk. Many had to walk four hours every morning just to go to school. Complicated family situations and poverty also contributed to the challenges they faced. Because of such difficulties, girls below the age of 16 were forced to get married. They were victimised by the dowry system and other harmful, traditional practices. I felt the human rights of children and adolescent girls were being violated, and that this was rooted in illiteracy. In 1996, those experiences motivated me to open an English medium school in a rural area of Nepal, and to provide scholarships to the children whose families were struggling and whose fundamental rights were being violated. In the same year, a revolutionary Maoist party announced that they were starting their underground revolution. The conflict scaled up year by year in Nepal, and caused problems for both public and private institutions in the rural areas. In 2000, many schools, including mine, were shut down. Saddened, I went to Kathmandu to study further. My eagerness to do something for human rights, particularly the rural areas, encouraged me to purse a Master’s degree in rural development. In 2005, I joined a non-governmental organisation (NGO) named Humanitarian’s Trust for Children Nepal (HTC Nepal), which I led for 5 years. It focused on the right to education of underprivileged children. Looking at the horrendous conditions women and children faced in times of disaster, I started working in the humanitarian sector in 2010. I have been leading organisations focused on the rights of children and women since then. Now I am with WOREC. My continuous fight for the rights of children and women kept me working in a holistic way to restore the voices of the voiceless. For more than two decades, this has always encouraged me to keep up my efforts. WOREC is a movement-based organisation, which believes that women rights and social justice are prerequisites for peace and sustainable development in Nepal. 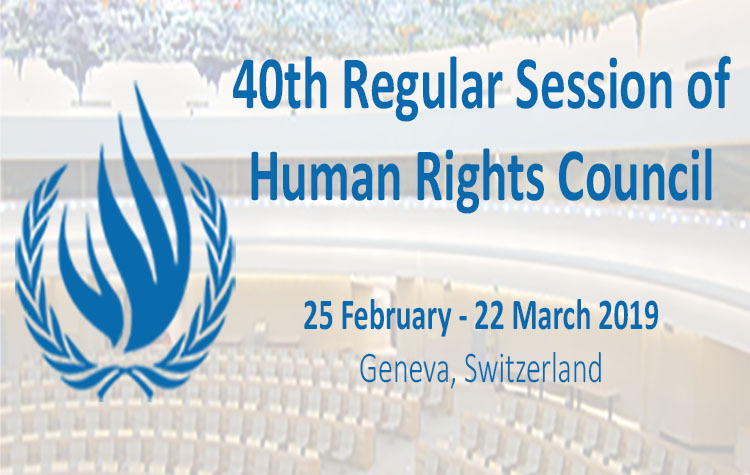 This human rights movement joined FORUM-ASIA, when WOREC became a member in 2018. What motivated you to become involved? And has that motivation changed over the years? Deprivation of education and other grievances of children and adolescents, who, if an opportunity is provided to them, could be our future leaders, motivated me to get involved in campaigns that aim to promote human rights. I also want to work for the betterment of society. To improve the conditions of women living in rural areas, where they start their household chores in the morning with drudgery, live in unsafe environments in the evening, and sleep late at night with uncertainties for the next day. The long struggle against these vulnerabilities changed the way I work, especially in terms of approaches and methods, while the agenda has remained the same. Please tell us one of the most inspiring moments for you in your work in the past? Continuous and passionate campaigns for a good cause have always made me stand firmly. Two particular campaigns I initiated for children and women have always inspired me. In 2007, the campaign ‘Loom to Class Room’ for the children of carpet workers and child labourers was able to enrol about 150 children into school. They have since successfully completed their High School and University education, and are now in dignified occupations. Another campaign, ‘Adult Education for Livelihood’ was aimed at illiterate and poor women, especially mothers. The nine-month programme of numeracy, literacy and skills education encouraged them to open a formal adult school in their community in 2008. They are the students as well as the founders of the school, the only adult school in Nepal that is initiated by such women. Those women joined the classes, and continued their education, and now they have passed high school level education at the age of 40-45, and joined the University. What do you experience as the main challenges as someone working on human rights? And how do you deal with such obstacles in your work? As elsewhere, the human rights crisis is always a product of the deep-rooted power, political, social and economic struggle in the country. During the Maoist insurgency, Nepal faced a crisis of human rights and humanity. As a civil society activist, defending human rights was life-threatening work at that time. We faced many obstacles and threats because of the appeals and demands we made during the conflict, such as asking both the State and the revolutionary parties for: the right to property; the right to choose an ideology; the freedom of speech; and the right to have safe working space for people. Similarly, various government institutions and representatives on the ground did not cooperate with me in my work for the rights of marginalised women and children. While we were rescuing the child labourers, the owners of factories threatened to close my organisation again and again. When we were providing literacy programmes for women, their family members blamed me for creating family disturbance, as women started to speak up for their right to choose their occupation and their freedom of mobility. Despite all these challenges, the promotion of human rights gained momentum. Obstacles can be dealt with, if we undertake consistent and continuous effort through integrated and holistic approaches for the rights of the destitute. In the course of defending rights, I found support from many people and colleagues around me, which helped achieve meaningful outcomes. If you could give a message to the new generation of people working on human rights or development, what would it be? To be a human rights activist, you do not need to be an expert nor to have plenty of resources. You can start with what you have, where you are and what you can do. If you are grounded and assure you are very close to the issues at the grassroots, you can identify the root causes of human rights violation. Then you can find a way to deal with them. If you stand on the ground rather than depend on reports and researches, you will be a strong advocate for the rights of people. All initiatives starting from the grassroots level will eventually gain momentum and have an impact. Human rights defenders do not often go through a very comfortable environment for their work, but to make an environment conducive for human right activism is one of the primary tasks of activists. In the long run, you will have many supporters for the cause you are fighting for.